The most important tool is the plastering trowel and back in the day we only had one. You would use this trowel to apply, flatten and finish the plaster. However, now there's so many different plastering trowels but which ones do you use? And when?In today's article, we're going to cover the different plasterer's trowels on the market and discover there uses. 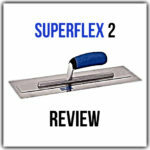 With the … [Read more...] about Plastering Trowels – Which Ones Do I Need?